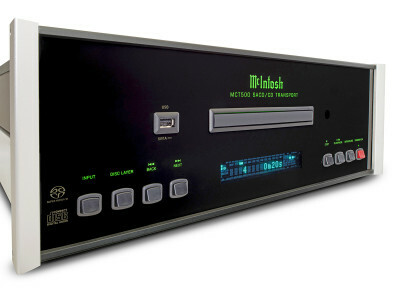 McIntosh continues to consistently update its range of reference-level home entertainment source components, this time with two "best-in-class" solutions for high-quality music streaming and CD playback. 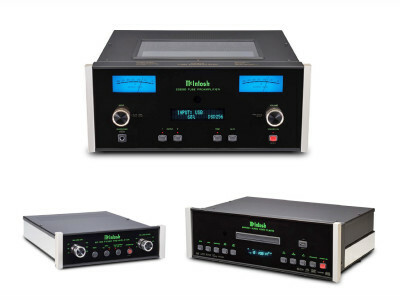 Keeping up with its 65 years of tradition in the high end audio market, McIntosh announced the MCD600 SACD/CD Player and the MS500 Music Streamer, both retailing for approximately $7,000 USD. McIntosh has unveiled a new turntable that brings its famous McIntosh sound and build quality at a new "low price" point. The new MT2 was announced with a suggested retail price of $4,000, which his significantly less than the brand's flagship MT5 ($8,000) and MT10 ($6,000). 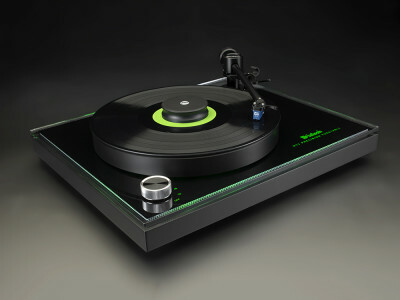 Of course you don't get the glowing green plate, but according to the company, you get the latest turntable technology with the New York giant’s legendary aesthetic, design and build quality. 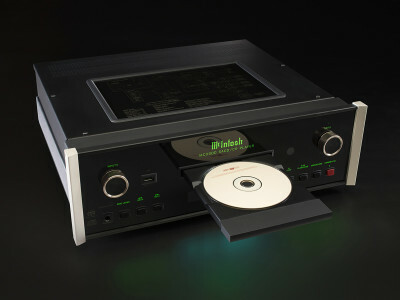 McIntosh announced their new MCT500 SACD/CD Transport. The new transport has been designed to replay SACD/CD discs, plus a wide range of audio formats stored on USB flash drives and user-generated CD and DVD Data discs. All common disc types can be played on the MCT500, including SACD, CD, CD-R/RW and DVD-R. In addition, popular file formats such as AAC, AIFF, ALAC, DSD (up to DSD128), FLAC, MP3, WMA and WAV (up to 24-bit/192kHz) WMA can be played from discs and USB drives. 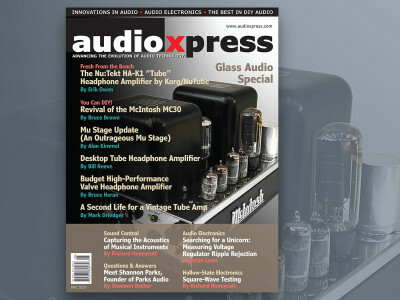 McIntosh Laboratory, has announced three new preamplifiers – the C1100, C52 and C47 – all made at the company's factory in Binghamton NY, following the brand’s signature design. 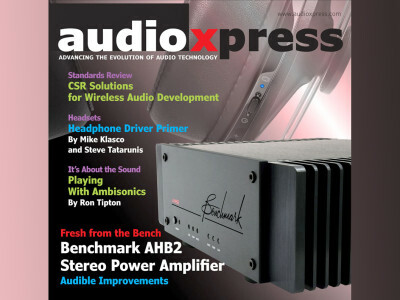 The C1100 features a separate controller and tube preamplifier, and the C52 and C47, offer phono preamps and built-in DACs, featuring PCM, DSD256, and DXD up to 384kHz. 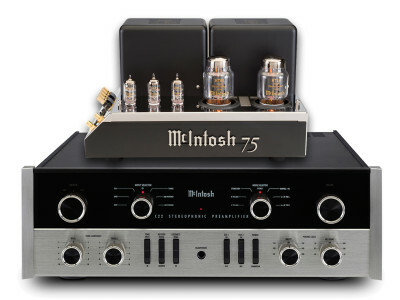 Since 1947, when McIntosh introduced its power amplifier design using its patented bifilar-wound dual-primary output transformer, the brand’s power amps have been considered the performance standard. The MC75 in considered one of the best tube classic amps of all times, while the C22 Preamplifier is the perfect “control center”. Now McIntosh decided to bring back those two classic designs. TIDAL, the Norwegian High Fidelity lossless music streaming service with HD music videos and curated editorial, announced it will launch its service in 22 new countries during the first quarter of 2015. The company also confirmed twelve home audio integration partners are already live with TIDAL, namely, Sonos, Bluesound, Linn, Simple Audio, Auralic, Mirage, Squeezebox, Amarra sQ, Mcintosh, Wadia, Electrocompaniet and Meridian. 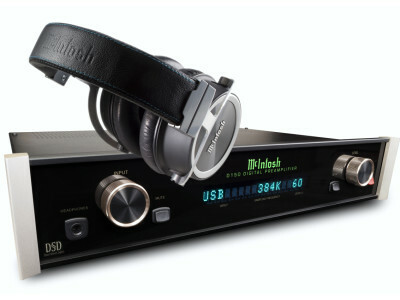 At the 2015 International CES in Las Vegas McIntosh presented its first-ever headphone, the MHP1000, targeted at those not minding paying extra for “the legendary McIntosh sound”. 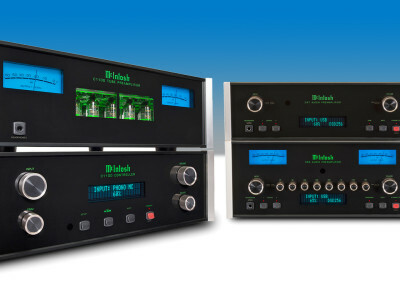 At the Las Vegas Show, McIntosh also launched its new D150 digital preamp/DAC, a high-performance digital ‘hub’ capable of replaying today’s high-resolution DSD and DXD audio files.